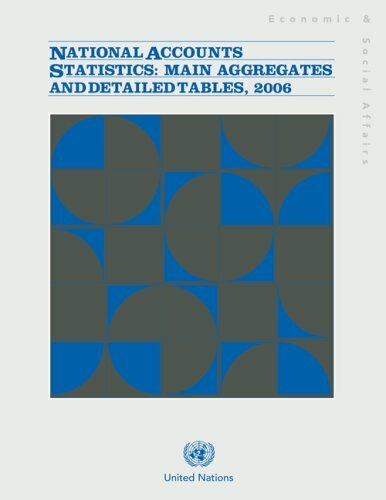 The forty-eighth issue of National Accounts Statistics: Main Aggregates and Detailed Tables shows detailed national accounts estimates for most of the world's countries and areas for the reporting years 1995 to 2006. The national data for each country and area are presented in separate chapters using uniform table headings and classifications recommended in the United Nations System of National Accounts (SNA). A summary of the conceptual framework of the SNA and definitions of important terms are also included in this publication. Other statistical information covered includes gross domestic product, national income, savings, private and government consumption, and transactions of institutional sectors.